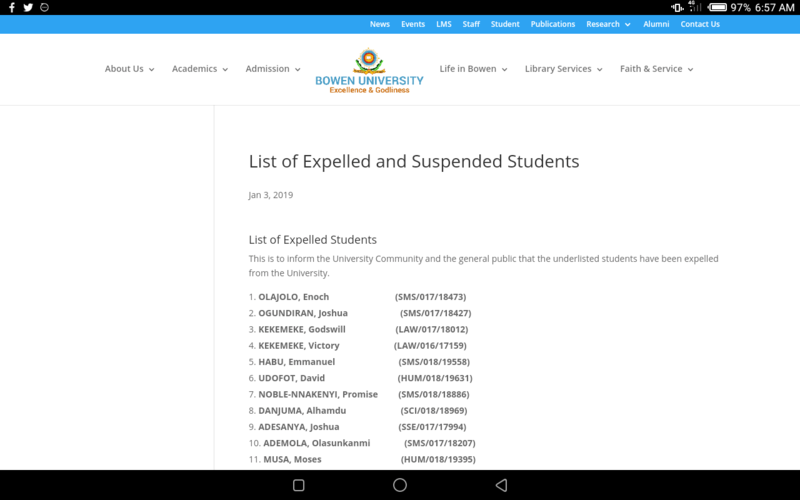 The management of Bowen University, Iwo, on Thursday said it has expelled no fewer than twenty nine students and suspended twenty six students indefinitely for involving in anti-social behaviours. 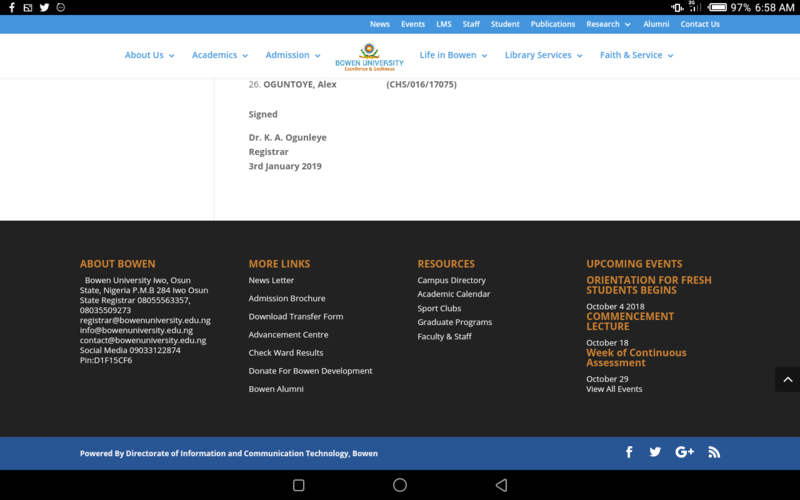 This was contained in a statement issued by the institution’s Registrar, Dr K. A. Ogunleye, a copy which was uploaded on the institution’s website on Friday. 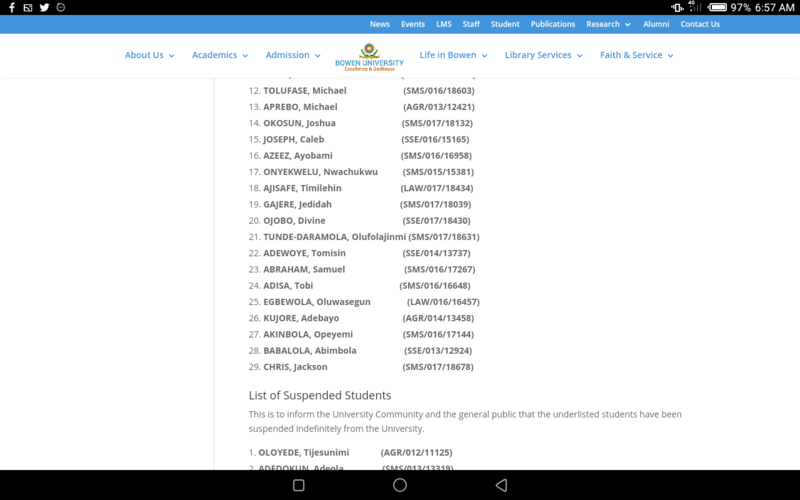 Ogunleye in the statement obtained by DAILY POST on Saturday, entitled, “List of expelled and suspended students”, dated Thursday, January 3rd 2019, added that the university community and the general public are through the statement informed that the institution has taken the decision to expel and suspend the twenty nine and twenty six students, respectively. 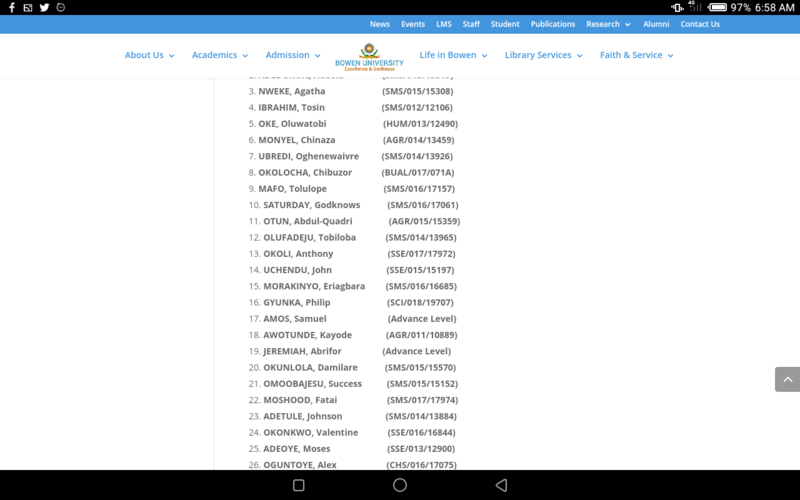 The expelled students are: Olajola, Enoch, SMS/017/18473, Ogundiran, Joshua, SMS/017/18427, Kekemeke, Godswill, LAW/017/18012, Kekemeke, Victory, LAW/016/17159, HABU, Emmanuel, SMS/018/19558, Udofot, David, HUM/018/19631.